The recession has prompted many to decide that debt is not the way to live life. Some are deciding that it might be wise to adopt a lifestyle where borrowing isn’t necessary. 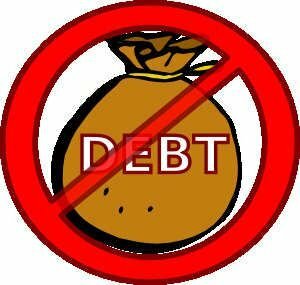 Those who are already in debt might decide to pay off their debt as quickly as possible and not borrow again. Those without debt might decide to completely eschew credit going forward. And, while a good credit score range might lower your insurance rates, your credit history becomes less vital if you don’t plan to use loans or financing in your life. Some may contend that it’s impossible to live without borrowing money, but it is definitely possible with a little creativity. If you want to live without borrowing money you will need to plan ahead. Making purchases without needing credit requires that you look to the future and create a road map to help you achieve your goals. This means that you need to have a realistic idea of what things will cost, and how long it will take you to save up for purchases. This includes financial planning for major purchases like cars and a college education. In some cases, planning ahead means opening an investment account to help you put your money to work for you. Retirement accounts and college savings accounts can come with tax advantages, and can be good tools to help you plan ahead for living without debt. Other purchases, like cars, can be made fairly easily if you have modest expectations and a plan. An emergency fund is also quite helpful when you want to live without borrowing money. One of the reasons that many people end up over their heads in debt is due to the fact that an unexpected emergency can lead to the need to borrow. A good emergency fund can help you prepare for car expenses, job loss, or some other catastrophes. If you work to build an emergency fund, you can protect yourself against the need to borrow later. You can also help your debt-free lifestyle by protecting your assets. Insurance can help you offset one time costs associated with car accidents, hospital stays, and damage to your home. Life insurance ensures that your family won’t have to go into debt after you death. Consider what insurance coverage is appropriate, and get it so that you don’t have to worry about large disasters draining your funds. Perhaps the biggest item that people borrow money for is a home. This is a huge purchase. You might remember a real estate agent telling you about how your home is a great investment, but it’s really a big purchase. By the time you pay interest on a mortgage (over decades), pay property taxes, spend money on maintenance and utilities, and cover other costs, there is very little chance you will break even. Get Rich Slowly has an interesting break down of the financial (forget the emotional for now) aspects of renting vs. owning. If you decide that renting is the best way to live completely debt free then you won’t have to worry about saving up for a house. If, however, you want to buy a home, you will have to decide whether you want to bend your “no borrowing” rule for this one purchase or whether you want to save aggressively — and get some help from an investing plan — to pay for your home with cash. A robust emergency fund is the key. Of the people that have an emergency fund, many do not have enough money in it. $1000 is probably not enough to cover some major emergencies. $1000 is better than nothing, but one should really ask themselves what their biggest emergency would cost them. This would likely be between $2000 and $3000 dollars for those who are properly insured. Definitely it is good thought to live debt free. This can only happen when the youth knows about financial planning at the start of his career. However the youth is in different mood all together. Hope Financial planing is taught in colleges as well. Well, certainly, the strategies you mention can lead to a middle-class, debt-free life. But do you really think that the rich got there by following those strategies? So, the validity of the tactics you mention depend on what a person hopes to accomplish. 20% of the population of the USA owns 80% of the wealth of our nation. Your strategies will not get you into the 20% club. Of the strategies you mention, which do you think those in the top 20% followed? My guess? Maybe they had insurance. I am not saying your strategies are bad just that they will only go so far in terms of building real wealth — 20%-like riches. For that you are going to need to take a lot of risk, apply a lot of financial leverage, work hard, work long hours, and focus. But if living debt-free is your primary financial goal, your strategies will help accomplish that end. And what % of the 20% do you think rent their primary residence? Real estate equity is the largest percentage of the net worth of those in the bottom 50% of net worth distribution. The decision to rent forever simply to avoid debt is the financial equivalent of cutting off your nose to spite your face. Acquiring your housing by means of a mortgage allows you the use of leverage and leverage is the tool that will get a person into that 20 percentile!